Property 2: Brand new apartment only about 300 metres from the ski lift! Property 8: A pleasant, detached house 2 km from the Salvistabahn. Property 9: Fantastic holiday apartment in the mountains near Brixen im Thale! Property 14: Athletic, unconstrained and way up on the mountain! Property 15: New, modern holiday home near the largest ski area in Austria! Property 21: Cosy apartment in a quiet location with great connections in the region! Property 23: Beautiful holiday home on a farm with wonderful views of the valley. Property 28: A new, modern holiday home near Kirchberg and Westendorf. Property 36: This house is in a splendid location in a quiet spot above Westendorf. Property 39: Nice holiday home, just 500 metres from the Westendorf chair lift. 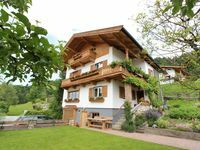 Property 42: Nice holiday home, just 500 metres from the Westendorf chair lift. Property 43: Home in a quiet location on the edge of the forest, in a cosy village. Property 44: A new, modern penthouse near Kirchberg and Westendorf. Property 49: Luxurious apartments with two bathrooms and their own private sauna. The views from the house are fantastic! The house was clean and very comfortable to stay in. Just remember you will be living on a farm so there were moments were there was some smell. the rooms were in different floors.